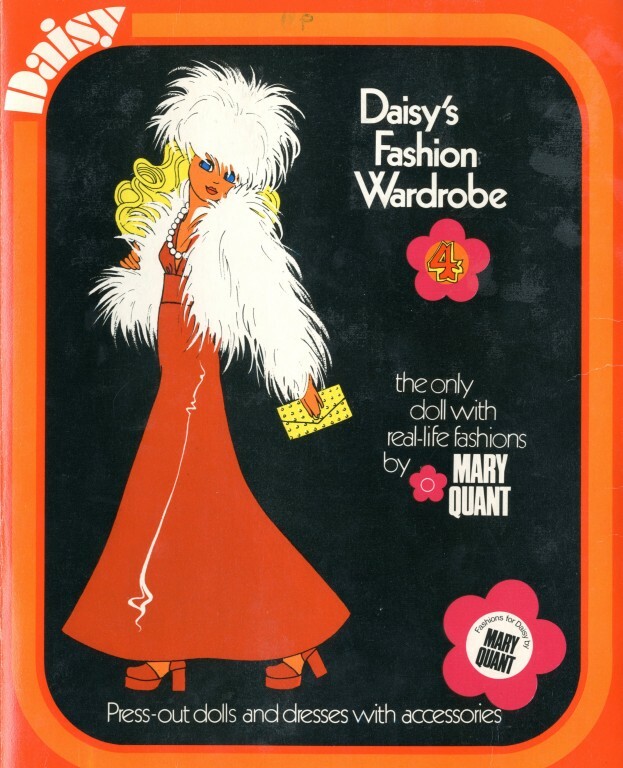 Daisy was a teenage doll: she and her clothes and other possessions were designed by Mary Quant. 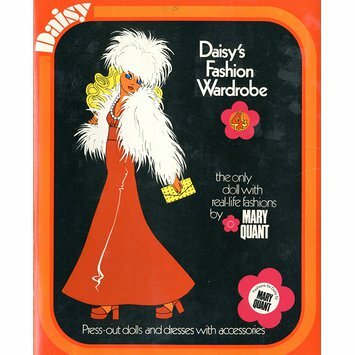 Daisy was launched in 1973 with the associated slogan "the best dressed doll in the world". These Daisy paper dolls (made by the same manufacturer) and their clothes reflect not only the clothing and hair fashions of the day, but also the fashion model poses and the graphic style (in this instance shared with fashion journalism, dressmaking patterns etc) which tended to show girls as basically childlike, with large eyes, flat chests, large feet and disproportionately long legs. The bouffant hair is perhaps more a reflection of the vinyl Daisy doll. Owned by the donor, Jane Wright (b.13/06/1963), as a child. Jane always loved dolls and, together with her friend Lynne, would make her own outfits and accessories, including chairs made from yoghurt pots. Her love of cut-out dolls started with the ones featured in the Bunty comic. She used the Daisy Dolls to re-enact her own Miss World competition, rating the different outfits. It is certain that Joan Corlass did the illustrations (some of which are signed) for the stories; she probably also drew the dolls and their clothes.